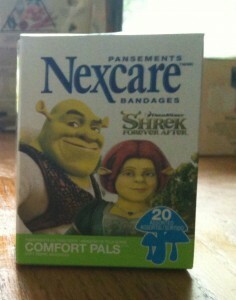 Reader April scored a deal on Nexcare Kids Bandages at Target. The Nexcare Kids Bandages are on a price cut and there is a Nexcare Target coupon as well as manufacturer coupons that you can stack. April used her $1/2 Nexcare coupon from the 6/5 SS and scored them for $0.18 a box. Some of you may have the $0.55/1 for an even better deal.